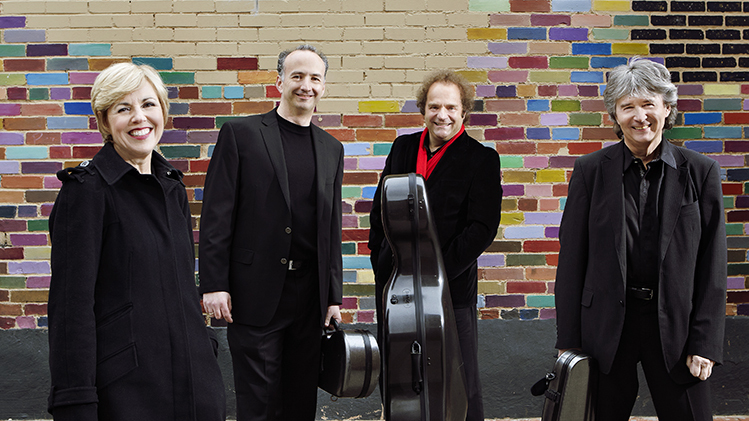 Recognized as one of the world's great ensembles, the Takács Quartet plays with a unique blend of drama, warmth, and humor, combining four distinct musical personalities to bring fresh insights to the string quartet repertoire. For thirty-two years the ensemble has been in residence at the University of Colorado, Boulder. The program for this evening will be Ravel’s “Quartet,” Beethoven’s “Op. 133 (Grosse Fugue),” and Beethoven Op. 59 No. 1.